The eCommerce landscape has matured a lot in recent years and most retailers, from SMEs to high-growth enterprise merchants, would agree that success is increasingly harder to achieve, with constantly rising advertising costs, greater customer expectations and the costs of maintaining a technology stack increasing. The merchants that do see phenomenal growth and sustained success are the ones who understand the need for constant innovation and a continuous drive towards a better customer experience. One of the key ways that this is being achieved currently is through the adoption of artificial intelligence and natural language processing (NLP), with common examples of use cases being product recommendations, category merchandising, on-site promotions, site search and even product bundling. Although each of these areas are hugely interesting and growing at a similar rate, today we’re going to focus specifically on how machine learning and NLP are being used to transform an eCommerce store’s search function. For merchants who are yet to take up an NLP-based search solution, or those who haven’t yet been won over by the arguments in favor of ‘intelligent search’, it’s imperative to understand exactly what benefits these two specific technologies can bring to the online shopping experience. What is natural language processing and machine learning? Often, smaller eCommerce stores overlook site search as a simple process that involves a site query that looks for matches within the product catalog (or even just the product title). Indeed, this is how search worked historically and often for native search functions, but inaccurate results or error pages will generally result in frustration for consumers and reduced revenue for the retailer. This basic keyword-driven approach to search has become a lot less standard than it used to be, with stores moving in favor of a more intelligent way of matching results that is based on natural language processing and machine learning. Intelligent search engines are now able to look at the search query and understand far more about the intent behind it, and then do the same with the content of the product catalog, in order to generate results that are fast, accurate and context-driven. NLP can interpret things like spelling mistakes, confused brand names, long-tail searches and attribute-based queries, in order to truly understand what a customer is looking for. Machine learning capabilities allow the search solution to process search and customer behavior data in order to provide more relevant and effective results, through optimizing the results based on the items users are interacting with and ultimately going on to purchase. Machine learning can also help solutions learn more about meaning and is also being used to improve the filtering of results more and more. The benefits from this kind of smart search In today’s increasingly mobile-centric world, it’s vital for retailers to appreciate how customers interact with their online stores. According to IMRG figures, in the period from November 2015 to January 2016, the percentage of online sales carried out via mobile devices reached 51%, the first time that it had eclipsed traditional desktop access. Two years down the line, that figure has unquestionably risen significantly. Failing to assess the mobile experience is a mistake for any retailer nowadays, and more and more merchants and putting the search function at the heart of the shopping experience, with a view to simplifying mobile user journeys and making the purchase experience faster. In my experience, pushing search as the primary navigation journey on mobile can have a hugely positive impact on conversion rates and metrics like time to purchase. To put search in such a central position within an eCommerce site, it’s not simply about making the search box centrally located and easy to use – an optimal layout and design will only go so far if the engine powering the search cannot deliver fast, relevant results. This is where NLP excels, through being able to process far more detailed and rich queries, allowing stores to promote the use of more complex queries. An example of this could be encouraging users to search by club for a sports size or using attributes like color or sizing in the query. Fewer clicks and reduced time to purchase We’ve all experienced online shopping frustration at some stage or another. Indeed, it can seem like some stores actually relish the confusion and chaos that they serve up to us, delivering results that make us question our queries and leave us muttering ‘But I know you sell what I’ve searched for!’ Online shoppers have become used to intelligent search from giants like eBay and Amazon, and they are coming to expect it from all online stores, regardless of size – as briefly detailed in this Baymard article. I tend to talk quite a lot about the benefits of pushing users to be more specific in what they’re searching for and Nilay, Klevu’s CEO, often talks about how users are gradually learning to use more specific queries themselves. If a user is searching for “49 inch 4K smart TV under $600”, you’re able to serve the perfectn set of results, which would’ve taken a lot longer and far more clicks to view via category pages and using filtering. Below are two examples of advanced queries from one of Klevu’s larger catalog’s we worked with, which is benefiting from NLP and also our catalog enrichment. 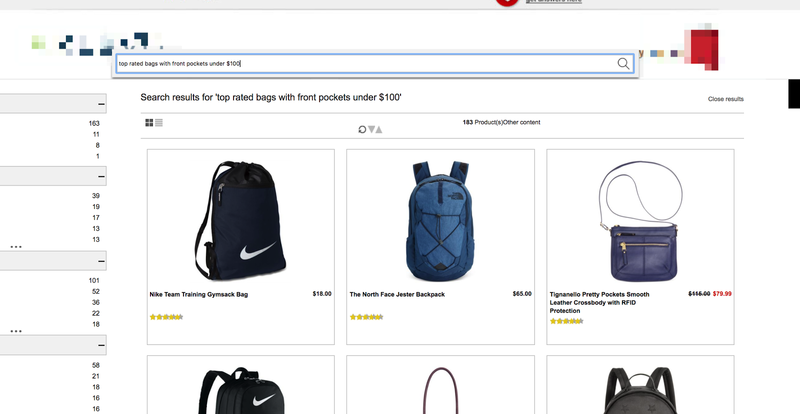 “Top rated bags with front pockets under $100” In this example, Klevu’s use of natural language processing is allowing the merchant to extract more meaning from the query and tie into the data that we’re indexing from the catalog. “Gifts for Sister under $100” In this example, Klevu is able to determine which products are best suited for gifting, based on understanding that the context around “gift” and “sister” and then using all of the information being indexed, along with the enrichment capabilities being applied to the catalog. The machine learning then helps to determine which products are likely to be most popular. 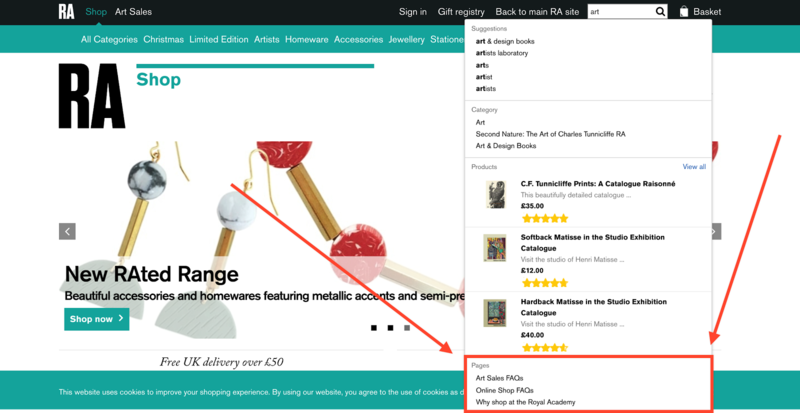 If a store can deliver relevant results for these kind of specific queries, the number of clicks required to add an item to the shopping cart is reduced. Time is fundamentally important in the journey towards a successful checkout, so being able to process more advanced queries is a key benefit of NLP-based search. 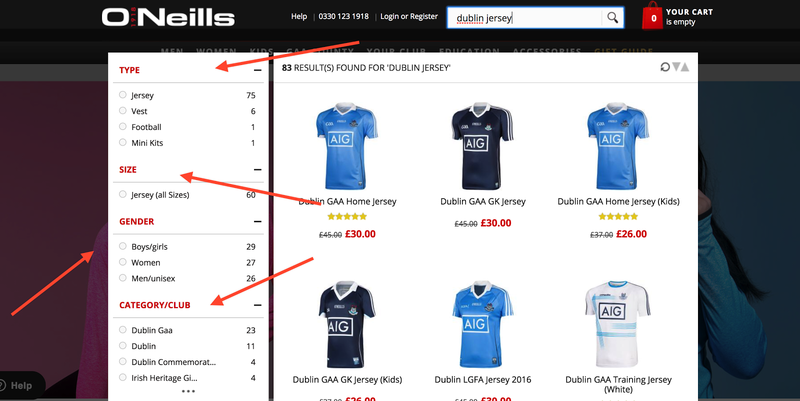 A fast autocomplete solution will also help to reduce the time and number of clicks for users, as can be seen with the O’Neills example below. Better results bring more sales One of the most sobering statistics for any merchant is bounce rate – the number of visitors to the online store who simply click off to another destination without moving through the store. Linked to this statistic is post-search exit rate – the number of visitors who perform a search on site, then leave immediately, with no further interaction. Customers who are frustrated by the search experience are, inevitably, more likely to leave the site without buying. Introducing an NLP-based search tool can lead to dramatic improvements in post-search exit rates, as customers are considerably more likely find what they want to buy and stick around to complete their purchases. In turn, this customer confidence in the search process can lead to increased average order values, with larger baskets and better conversion rates. One successful shopping experience often then leads to another, and customer loyalty brings its own rewards over time. Dramatic initial CRO improvements might grab the headlines for the new wave of smart search tools, but the impact of NLP-based search on the lifetime value of customers is another potential benefit. 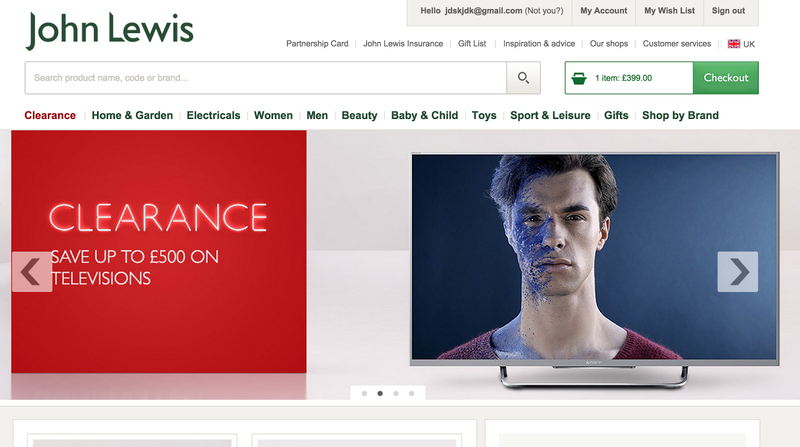 Understanding user intent When a search solution is able to understand exactly what a customer means when searching, the full power of eCommerce is unleashed. Highly relevant results can be delivered to the customer, even when none of the search query terms are present in the results, because the search engine is able to interpret meaning and context. Long tail phrases such as ‘blue long-sleeved t-shirt under £20’ can be processed to guide the customer with precision to exactly what they have asked to see. Likewise, typos, confused brand names and language variants can all be handled with ease, to give the customer exactly what they want, without any of the frustration that came with earlier on-site search tools. Combining the NLP abilities of modern search engines with catalog enrichment and machine learning allows merchants to serve far more optimal results. With machine learning, the behavioural insights bring enormous opportunities for shaping future customer journeys, and for making the most of each customer. Aggregating data from customer behaviour and product-level interaction allows merchants to operate far more efficiently, whilst also potentially informing further merchandising and marketing decisions. Klevu are also now gradually bringing personalised results to search, to give each customer the most personalised experience possible – currently, we do this in two ways, by promoting products that a customer has interacted with previously in search and by passing 1:1 level search behvaviour data to dotmailer (as part of our integration) to improve product recommendations to individual customers. Personalisation is something we’re gradually building into our core product more and more and we’ll be releasing new features in this area in the coming weeks and months. Offering more than just product results Effective search means recognising that the search process can be about more than simply looking for products, and understanding that each customer passes through several stages in their journey towards purchase. By delivering search results from outside of the product catalog, merchants can demonstrate that they are just as interested in answering all questions that a customer might have, as they are in guiding the customer to the checkout. Content results such as store locations, opening times for bricks and mortar stores, and online returns policies, can all be handled by an intelligent search that is able to process CMS content as well as the product catalog. Meeting the customer’s needs, regardless of where they are on their unique customer journey, is the easiest way to reach a conversion in the end. As per the various examples in this post, smart search offers so much more than traditional keyword-based search, in terms of functionality and benefits, both for the customer and the merchant. At the moment, there’s a huge amount of demand for NLP-based search in eCommerce, with enterprise merchants leading the way in the take up of this technology. We’re in no doubt, however, that NLP and machine learning will become the standard at all levels of the market. — Paul Rogers works for Klevu as a Solutions Architect and is responsible for working with larger merchants, driving the product forward and working with key partners. Next PostNext Magento 2.2.2 – Available Today!